Ken Burns is arguably the most celebrated documentarian in modern American – possibly global history. This documentary connoisseur has been making documentary powerful series since the early 1980s. His works often feature invaluable video footage, photographs, correspondence from ordinary people, and periodicals to create projects, each of which can only be defined as “an invaluable library of archival content”. Ken is a renowned producer, director, cinematographer, writer, and actor known for projects like The Civil War (1990); The War (2007); The National Parks: America’s Best Idea (2009); and The Vietnam War (2017) among a plethora of others. Unsurprisingly, his documentaries have seen him nominated for many awards, winning a few of them. The documentarian was born into what you could call a geek family. His father Robert Kyle Burns studied cultural anthropology and his mother Lyla Smith Burns was a biotechnician. Ken, his parents, and his younger brother and fellow filmmaker, Ric Burns moved around a lot. Their nomadic lifestyle saw them record residential stints in Veran, France; Newark, Delaware; and Ann Arbor, Michigan, although Ken was born in Brooklyn, New York, on July 29, 1953. Burns’ mother passed away when he was just 11 years old. She had been battling with breast cancer since Ken was just 3 years old. 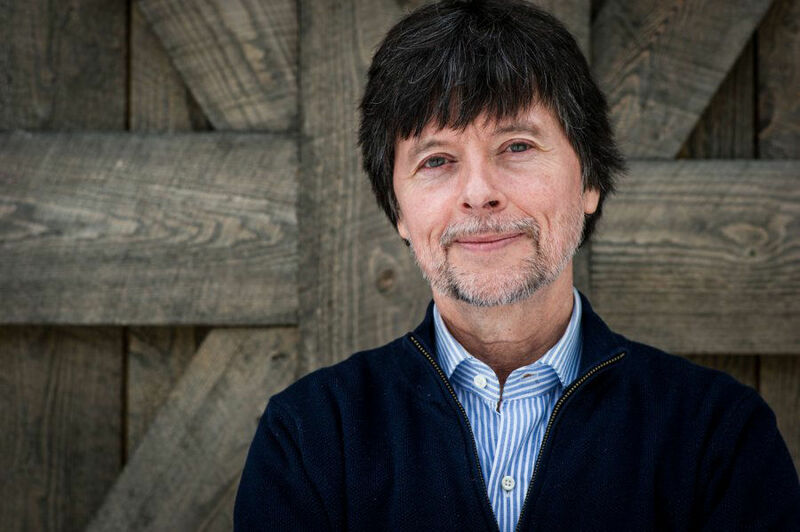 Growing up, Ken Burns was a voracious reader and always preferred the hard-hitting facts of history to the made-up excitement that came with fictional works. Armed with an 8mm camera at the age of 17, he proceeded to make his first ever documentary; it covered issues concerning a factory in Ann Arbor. Graduating from Pioneer High School in 1971, he turned down the University of Michigan where his father taught and opted instead for Hampshire College. This was largely due to their unorthodox and flexible method of student evaluation. In 1971, he graduated from the institution with a Bachelor of Arts degree in film studies and design. 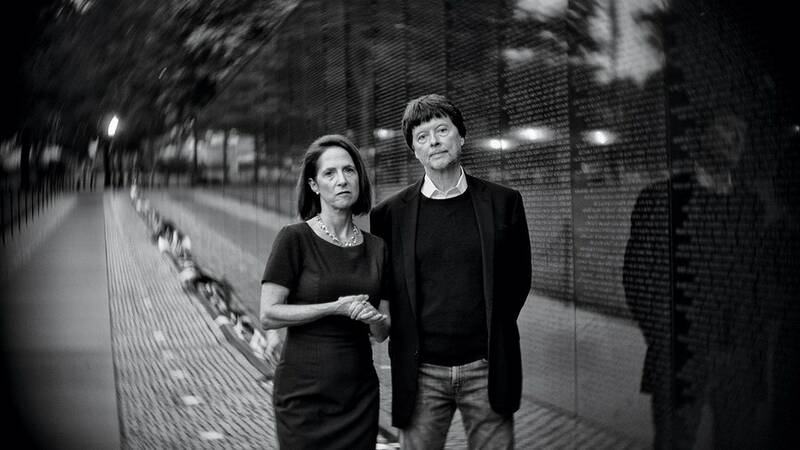 A year after graduation, in 1976, Ken Burns formed Florentine Films along with Elaine Mayes – a classmate from college – and subsequently Buddy Squires, and Lawrence Hott. They all worked under their personal subsidiary companies, with Burns’ being Ken Burns Media. After doing work as a cinematographer for some years for the likes of Italian national television and BBC, the filmmaker made his first major documentary in 1981. The documentary titled Brooklyn Bridge was based off David McCullough’s book The Great Bridge. It was hailed as a masterpiece in almost every corner of the industry, was aired on PBS in the United States, and earned itself an Academy Award nomination. Ken followed up this success with The Shakers: Hands to Work, Hearts to God, The Statue of Liberty, and The Congress, all in the 1980s. Since then, he has become something of a household name for the fascinating and real way he tells history through his films. In the years that followed, he went on to release a plethora of documentary films such as The Civil War (1990); Biography (2000); The War (2007); Baseball (1994 – 2010); and The Vietnam Wars (2017). Ken Burns’ films have covered a wide array of subjects: mass media, arts and letters, sports, politics, wars, music, literature and much more. His production company was reported by the New Yorker to have titles planned for as far back as 2030. Burns walked down the aisle with Amy Stechler in 1982. They started a family soon after and had two daughters, Sarah and Lily, the second named after Ken’s mother. After they split in 1993, Ken married Julie Deborah Brown a decade later. Together, they gave birth to Ken’s third and fourth daughters, Olivia and Willa Burns. This 10-part documentary series is arguably his most prolific work so far. The documentarian premiered this series on PBS, on September 17, 2017. For this series, he collaborated with renowned author and historian Geoffrey Ward and actor Peter Coyote. Geoffrey wrote the script while Coyote narrated the film. One of the reasons why this series was so successful was because of Ken Burns’ decision to tell the story of the Vietnam war from the eyes of the everyday ordinary man who lived through it. He avoided A-list Vietnam war heroes like John McCain, Henry Kissinger, and John Kerry. For the story, Ken decided instead to scout out and interview 79 witnesses of ordinary standing. These included ordinary American soldiers who were for and against the war, and Vietnamese fighters from both the North and South. See Also: What is Anthony Bourdain Known For, Why Did He Commit Suicide? The project took more than 10 years to film as it required immense research. During the research, Ken Burns and his team had to comb through over 24,000 pictures and about 1,500 hours of video footage relating to the war and dating back to that period. To make this a remarkable project, Ken teamed up with a friend and fellow producer Lynn Novick who had co-produced with him on a few of his prior documentaries. The entire project gobbled up a budget of $30 million and was a result of collaboration by Burns’ Florentine Films and WETA-TV.